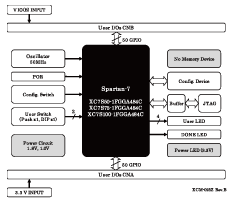 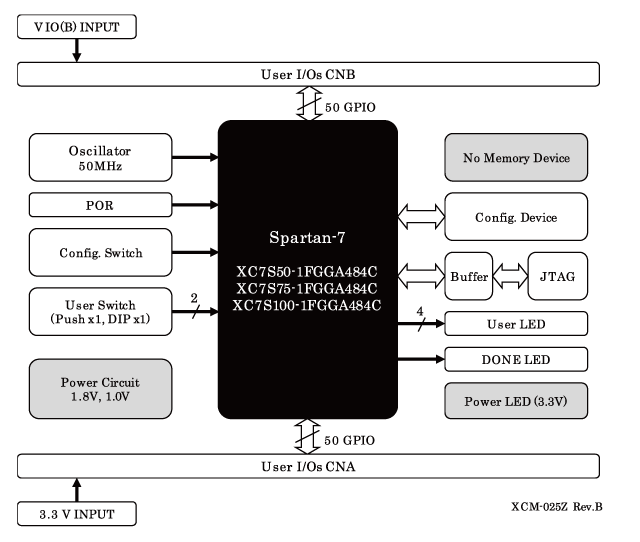 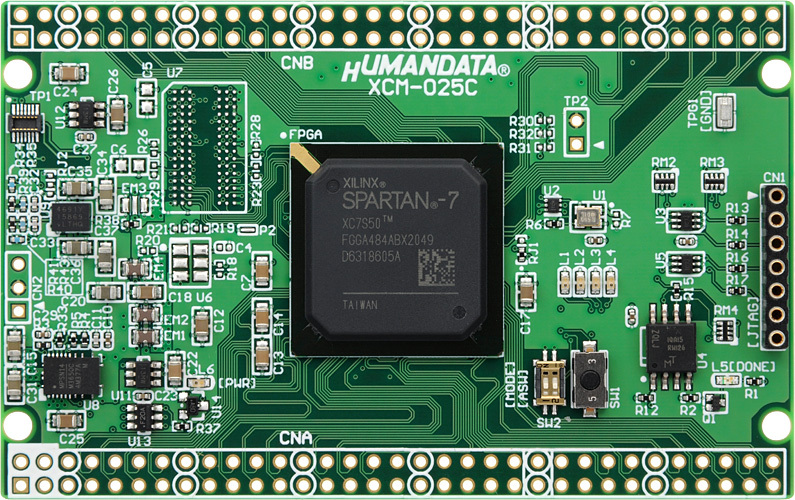 XCM-025Z is an evaluation board equipped with a XILINX's high performance FPGA, Spartan-7 ( FGGA484 package). 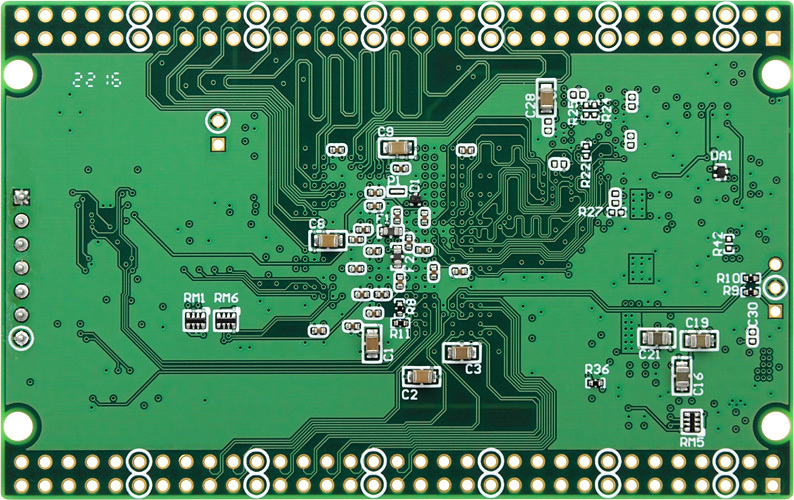 XCM-025Z series have voltage regulators, oscillators, user LEDs, switches, and a configuration device on its compact credit-card size board. 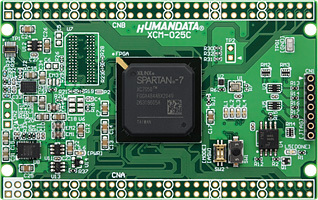 XCM-025: with DDR3 SDRAM version.